Mark O'Malley presented at a Manchester Energy Seminar at the University of Manchester on September 29th 2016. O’Malley, M.J., “Energy Systems Integration and its role in integrating variable renewable energy”, Manchester Energy Seminar, University of Manchester, September 29th 2016. Eoin Syron and Mark O'Malley participated in a workshop on "Understanding the water-energy nexus: integrated water and power system modelling". 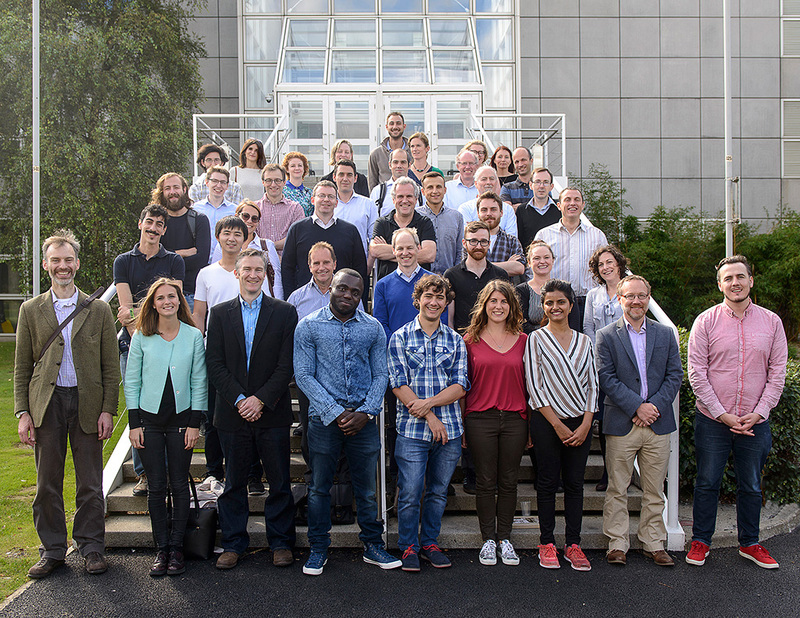 Eoin Syron and Mark O'Malley were among the group of European and US scientists from academia, government and industry who participated in a workshop on "Understanding the water-energy nexus: integrated water and power system modelling". The workshop took place in Ispra, Italy on 28-29 September 2016 and was organised following the signing of a collaboration arrangement between the European Commission's Joint Research Centre (JRC) and the US Department of Energy earlier this year. More information can be found on the US Department of Energy's website here and the European Commission's website here. ESIPP welcomes new team members. The full ESIPP team met in UCD on 16th September. The ENERGY (no pun intended!) in the room was fantastic with over 40 members of the team in attendance. It was wonderful to formally welcome our new PhD Students on board. ​​​​​​​Eoghan Clifford, Funded Investigator on ESIPP, was triumphant at the Paralympics. Eoghan brought home two medals, one gold and one bronze. .